I was so excited when I saw that an Embroidery Exhibition was being held locally. All digitizers need to go out and be inspired and get ideas. 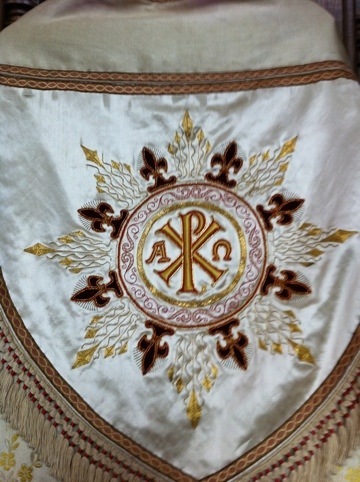 This was a wonderful opportunity to view some vestments, burses and veils some of which dated back to the early 1900’s. 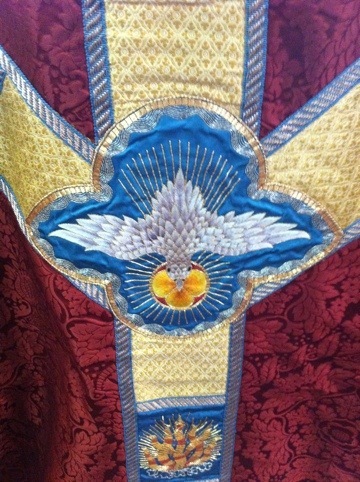 Although there were samples of machine embroidery it was the hand embroidery which captured my attention! 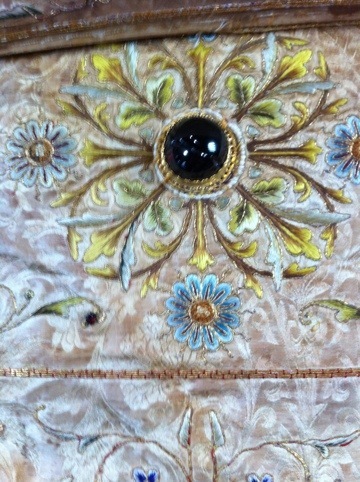 Beautifully worked by hand these remarkable embroideries featured gold work and some were embellished with stones and pearls. Overall this embroidery was my favorite. I definitely came away inspired and challenged. I hope you enjoyed seeing a little part of this wonderful exhibition. Beautiful design. Love the style of it also. Your work is meticulous. Hi, Hazel! Me again. You know after rereading my email, I make it sound like you did the embroidering of these designs. I didn’t mean it to sound that way. I meant the designs are beautiful, and with the way you digitize designs, I bet sometime in the future we see something from you because you are very meticulous in your thinking and digitizing. Sorry if I gave the wrong impression. 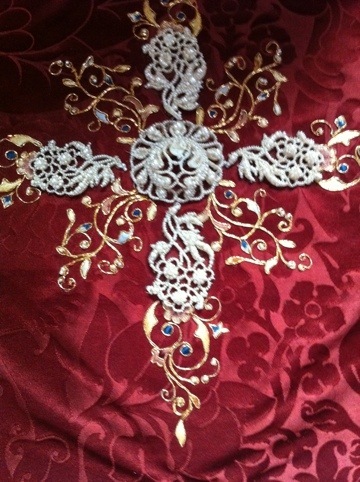 I used to hand embroider all the time, but it has been many years. 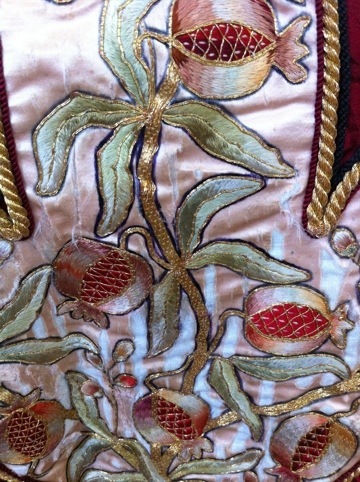 The embellishments add so much to these embroderies. Some very great inspiration in these embroideries! Truly beautiful art. Lucky that you got to see this work. 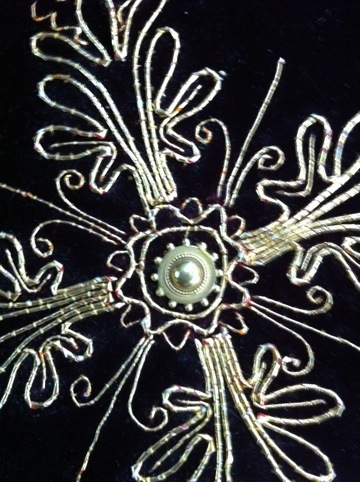 I’ve long admired hand embroidery but don’t have the patience or coordination so my love of machine embroidery. 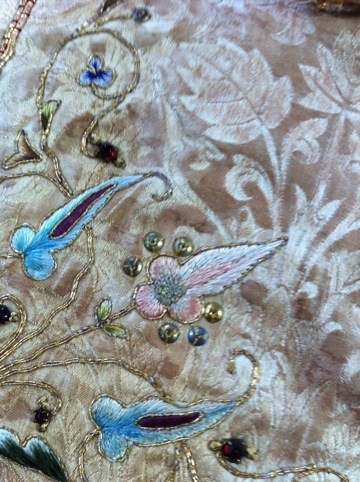 In machine work, the art is in the digitizing, and I look forward to more gorgeous work from you.